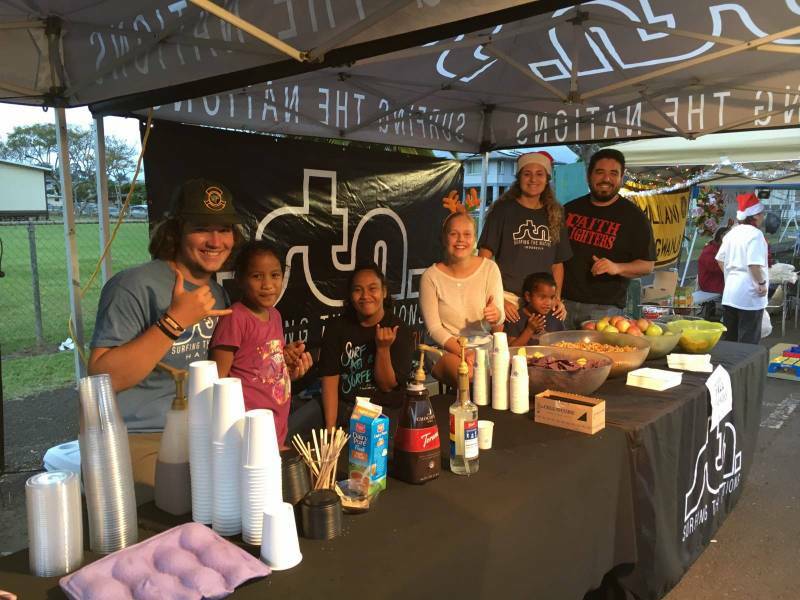 In 2017, the Hawaii Life Charitable Fund (HLCF) helped support the efforts of several non-profit organizations based in Hawaii. 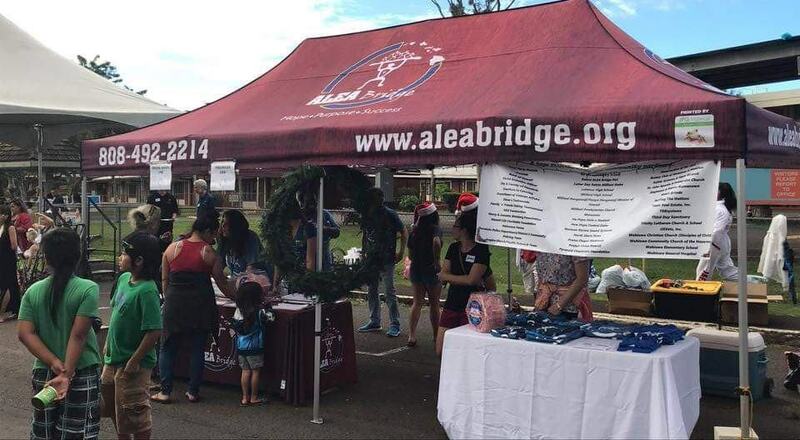 ‘Ale‘a Bridge was one of five local charity organizations to receive $2,500 from the HLCF’s Hawai‘i Love grant program. The money provided much-needed support for a holiday event experience for individuals and families-in-need and connected them with resources. 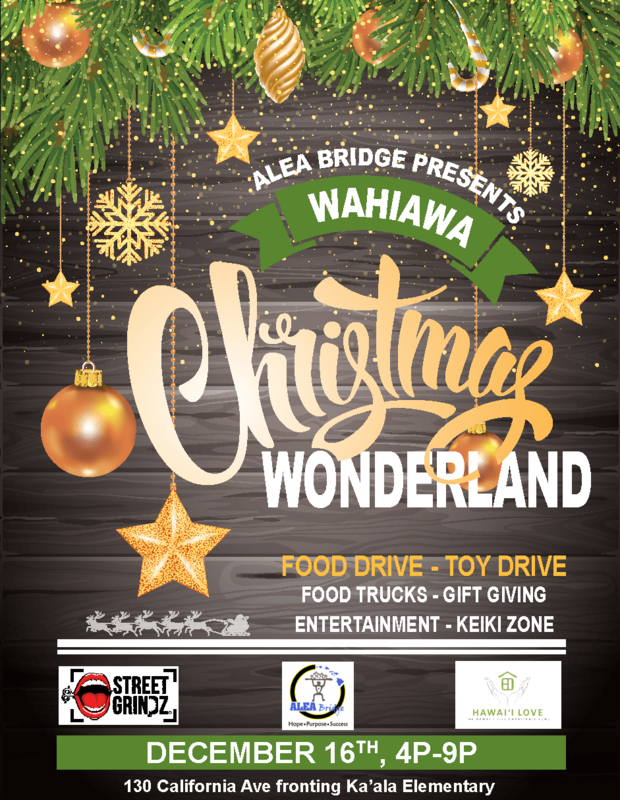 The Wahiawa Christmas Wonderland event was open to the public and included food trucks, a food drive, a toy drive, entertainment, a keiki zone, and tons of aloha & holiday spirit. Toys and books were offered to children who attended, and special gifts were given to low-income and houseless neighbors. Each year, Hawaii Life agents and brokers determine an annual giving focus for the HLCF, and grants are awarded to Hawaii non-profits whose charitable purposes fall within this focus, and whose mission is aligned with our own. Our giving focus in 2017 was to create and provide affordable housing for all Hawai‘i residents. In 2018, Hawaii Life agents chose Caring For Our Keiki as a focus for the fund, which is supported primarily through Hawaii Life agent, broker and clients donations throughout the year. 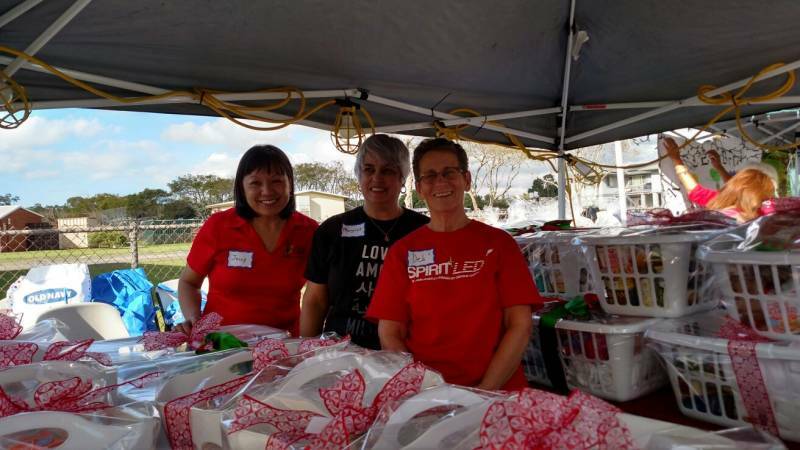 The HLCF awarded grants in June to local charities that serve Hawaii’s children. Our partners at the Hawai‘i Community Foundation (HCF) recently spoke with“Phil” Augustus Acosta about the impact of the funding provided by the HLCF’s Hawaii Love grant program. 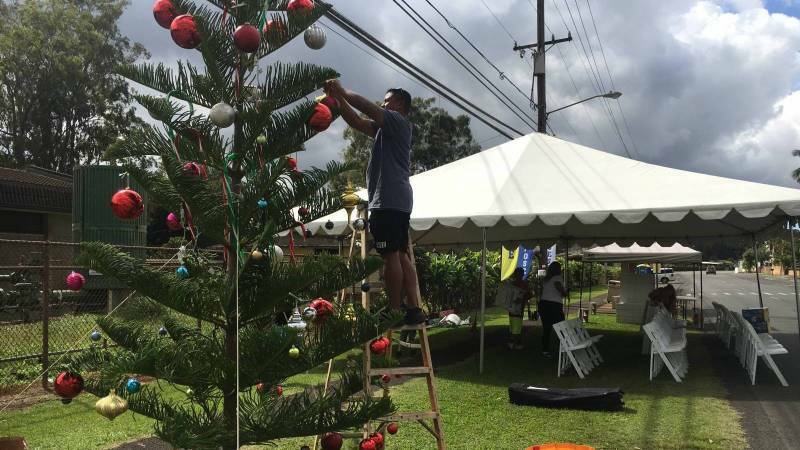 Acosta told them that since last year’s holiday event, two clients have gone from using ‘Ale‘a Bridge’s services – to volunteering with the organization to help others in need – fulfilling the charity’s aim of helping Hawaii residents to become self-sufficient. Phil Acosta at ‘Ale‘a Bridge: ‘Ale‘a Bridge was founded in January 2016, with a mission to empower people in need to achieve self-sufficiency through genuine compassion and innovative, community-based solutions. We have a vision of reducing homelessness on Oahu through the delivery of quality, comprehensive services and effective partnerships; continually striving to Break the Cycle, and Reverse the Trend of homelessness. With values of compassion, commitment, respect, and integrity, we serve as the bridge that connects those in need to the resources & assistance necessary to rebuild a life of Hope, Purpose, and Success. PA at AB: “Angie” and Katey” are two clients that we have engaged for over a year prior to the event. They were recently connected to medical insurance, dental care, employment, housing assistance, and other supportive services. They were so grateful for the help they received from ALEA Bridge, their mentors, and our numerous volunteers that they elected to volunteer themselves. This is definitely a tremendous success story, and really highlights our ultimate goal of people that were once in need, working towards self-sufficiency, and then giving back to their community. PA at AB: We are extremely grateful for their generosity as the effects go well beyond the singular event. We look forward to expanding our relationship with HLCF and its member agents, especially toward looking at permanent housing solutions for our neighbors in need. You can email me at	social@hawaiilife.com	or via phone at (800) 370-3848.